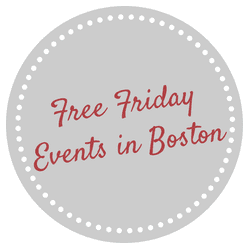 Free Friday Events in Boston for August 15, 2014! EDIT: Please note that Highland Street Free Fun Friday Schedule that was originally on this post was incorrect for this week but has been fixed. Sorry for the inconvenience. There are so many free and fun events happening in Boston and Massachusetts on Fridays this summer! I like to share a list of Free Friday events every Wednesday throughout the summer of all the Friday fun to be had! GreenFest: August 15-17, 2014 at City Hall Plaza.